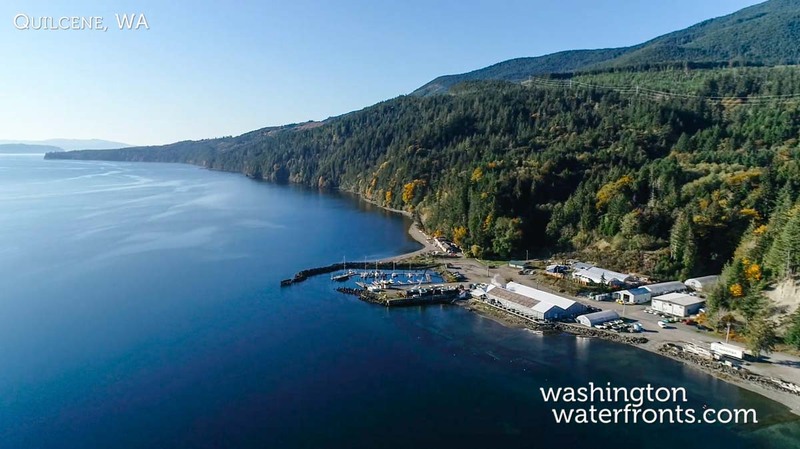 Quilcene can be found on the Olympic Peninsula along the Hood Canal, and with the Olympic National Forest at its back door, and both the Big and Little Quilcene Rivers flowing through town, there are a number of options for Quilcene waterfront real estate. No matter where you choose to call home, or enjoy a holiday retreat, living in Quilcene means easy access to activities on both saltwater and freshwater while being just minutes from some spectacular hikes Olympic National Park. Its location is a true nature’s paradise, for viewing wildlife, from seals on the sand to bald eagles soaring through the air and perched in the trees. Residents and visitors also look forward to harvesting shellfish, with oysters in the winter and clamming several times each year. Living on the waterfront, you may be able to enjoy it right from home. Quilcene waterfront real estate owners can look forward to enjoying a host of community events throughout the year, including the popular Olympic Music Festival which is held in a turn-of-the- century barn and invites guests to bring a picnic and enjoy classic tunes performed by internationally-renowned musicians. A handful of small shops, eateries, and an art gallery can be found right in town, along with the Midori Farm stand, which sells fresh, organic local produce. There are more options in Port Hadlock and Port Townsend, both of which are located within a scenic, 30-minute drive. Quilcene waterfront real estate includes a variety of price points, including some of the best values around the Puget Sound. Your dollar is likely to stretch farther here, and you’ll find a wide range of options too, from recreational properties with lake frontage and cabins right on the Little Quilcene River that make for a great weekend getaway to beautiful homes on the Hood Canal with Cascade and sunset views over the water. Take advantage of our industry-leading tools to make your property search as easy as possible and be sure to register for a FREE account so that you can receive email alerts whenever new Quilcene waterfront real estate for sale hits the market. If you're seeking to sell your Quilcene waterfront property, contact our Waterfront Specialists directly for a comprehensive listing analysis and to learn more about the cutting-edge marketing strategies we'll use to sell your home quickly for top dollar!